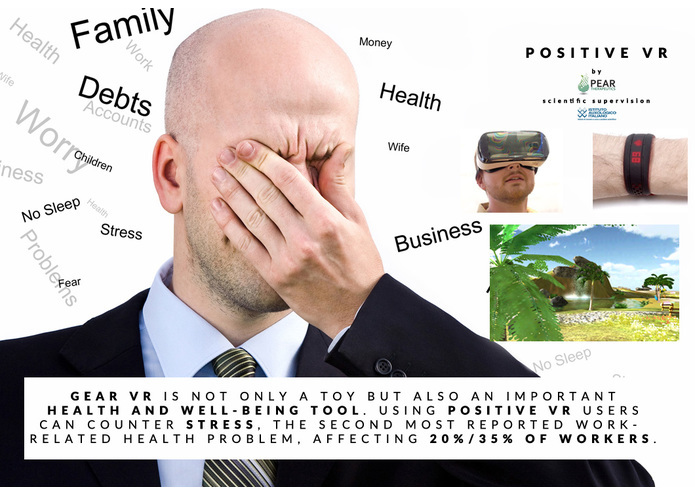 Our project is to transform the Gear VR into a Positive Technology​ Platform for improving an individual's health and well-being by reducing stress. Stress is the second most reported work-related health problem, affecting 20%/35% of workers in industrialized countries (in 2010, WHO data). Stress can cause people ill and misery, both at work and at home. Stress may also compromise workplace safety, and contribute to other work-related health problems, such as musculoskeletal disorders. And stress significantly affects an organisation’s bottom line. The good news is that work-related stress can be dealt with in the same logical and systematic way as other health and safety issues. Most individual-level strategies aimed at reducing stress are well established and have a long and successful history in clinical and health psychology. 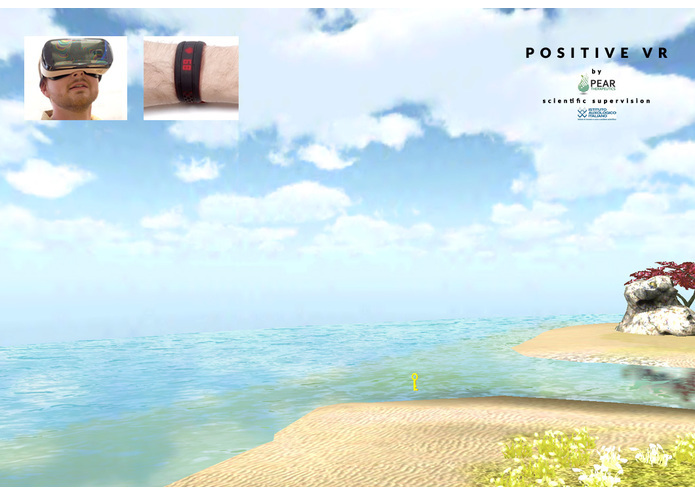 Strategies frequently used to reduce negative arousal include relaxation techniques, promotion of a healthy lifestyle (e.g., physical training), and cognitive–behavioral techniques (e.g., biofeedback, cognitive restructuring, and behavioral rehearsal). 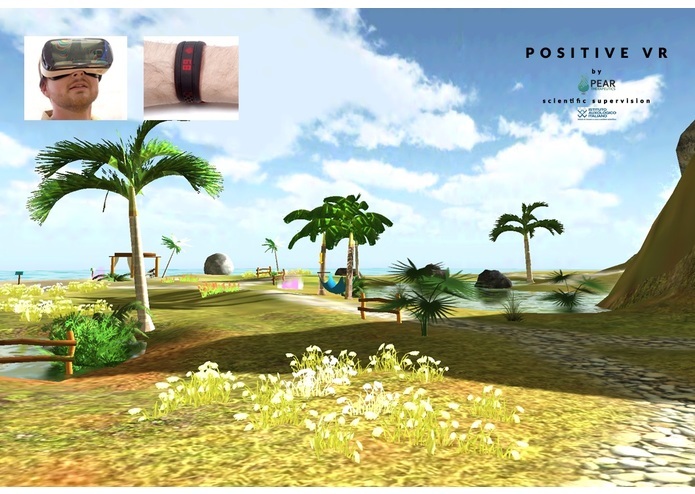 Scientific empirical evidence has demonstrated that some of these individual-level strategies – in particular relaxation and biofeedback training - are effective in reducing stress and burnout. 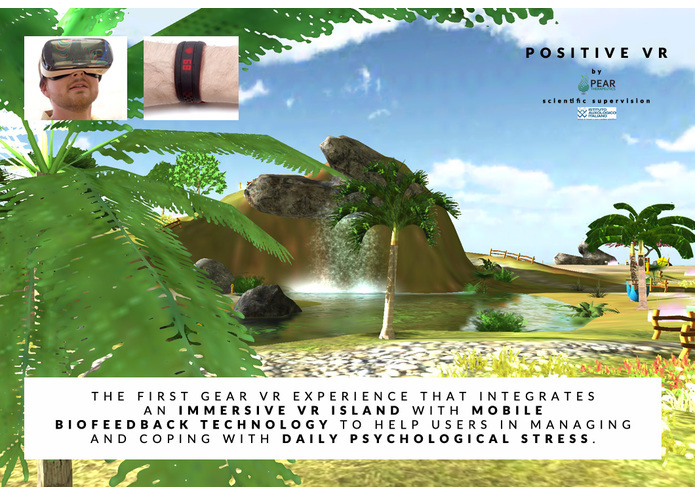 Positive VR (pVR) is the first application for Gear VR that integrates a 3d virtual reality environment with a mobile biofeedback technology to help users in managing and coping with daily psychological stress. 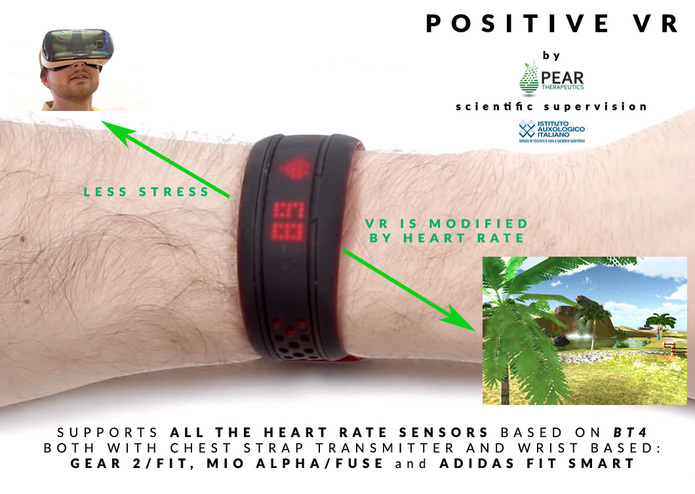 Specifically, pVR exploits the incredible progress in the field of mobile virtual reality and wearable low-cost biosensors - it supports all the commercial heart rate trackers based on Bluetooth 4, including wearable watches like the Samsung Gear 2/Fit, the Mio Alpha/Fuse or the Adidas Fit Smart - to allow an effective psychological interventions in daily situations. 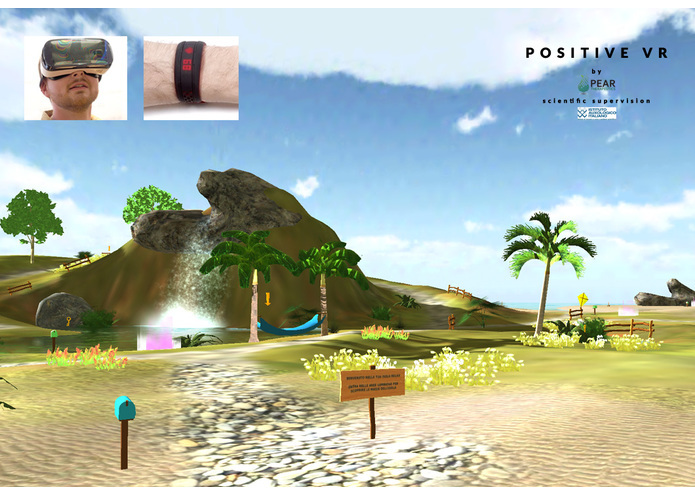 Within an engaging VR Island, the user has the chance to learn and practice effective relaxation techniques. 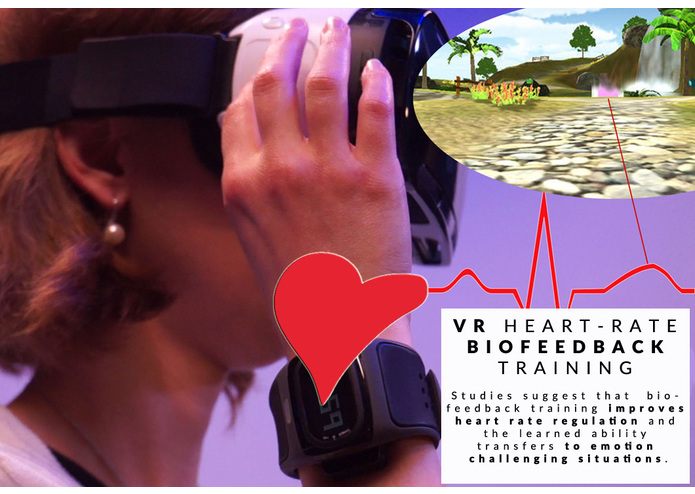 More, it is also possible to use a mobile Heart Rate Biofeedback Training aimed to help individuals in managing and coping with psychological stress. 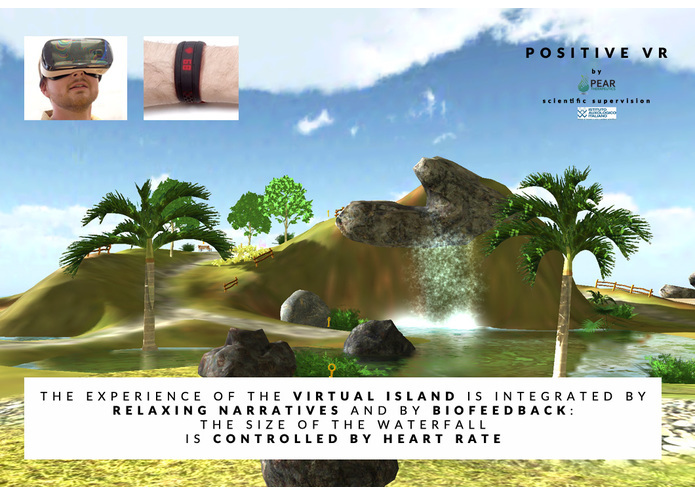 By using relaxation strategies guided by professional narratives and by controlling the respiration rate, variations in the Heart Rate control the features of the virtual environment, like the increase or the decrease of the size of a virtual campfire and of a virtual waterfall. 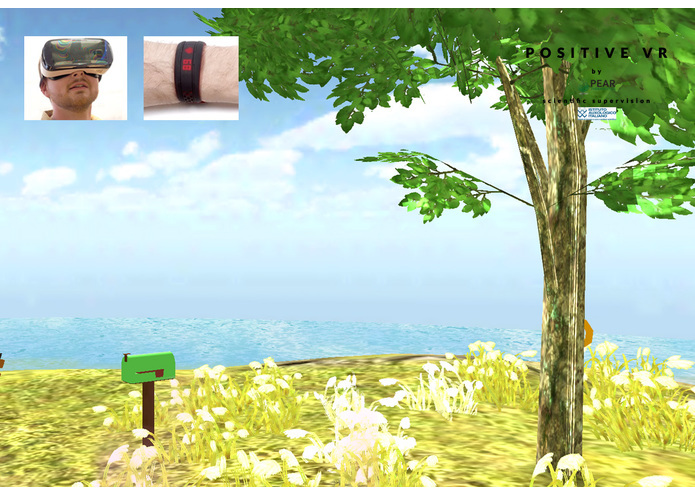 The possibility of a self-help approach could also help overcome some limits related to the application of the traditional treatments in naturalistic settings (home/office). Psychotherapy requires significant professional training and expertise to administer as well as patient time and resources. 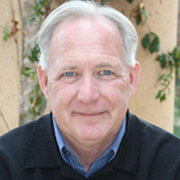 As a result, ample justification exists for considering self-management and telehealth-based treatments to enhance treatment fidelity, effectiveness, and accessibility. 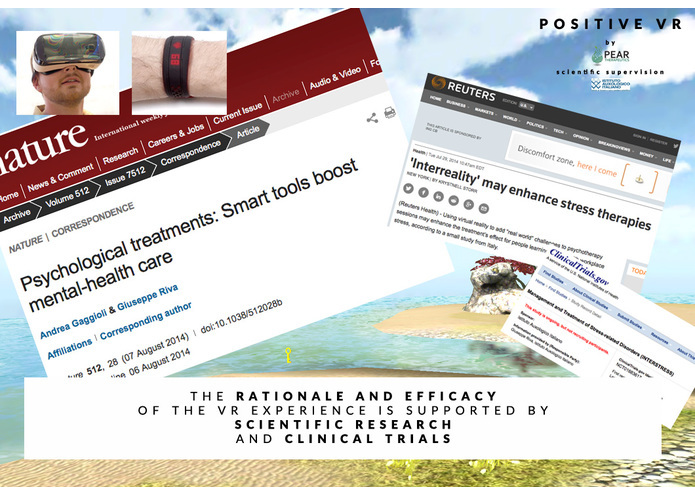 Positive VR is the Gear VR version of the Interstress VR experience covered by Reuters: http://www.reuters.com/article/2014/07/29/us-virtual-reality-stress-therapy-idUSKBN0FY1I720140729 and clinically tested in a randomized trial: http://www.jmir.org/2014/7/e167/.